Lacking any direct connection to those who served in WWII, my appreciation of them has over time come to be symbolized in one hero — described in historian Stephen E. Ambrose’s 1994 book, D-Day, June 6, 1944 — the impressive Lt. Robert Patrick Mathias. 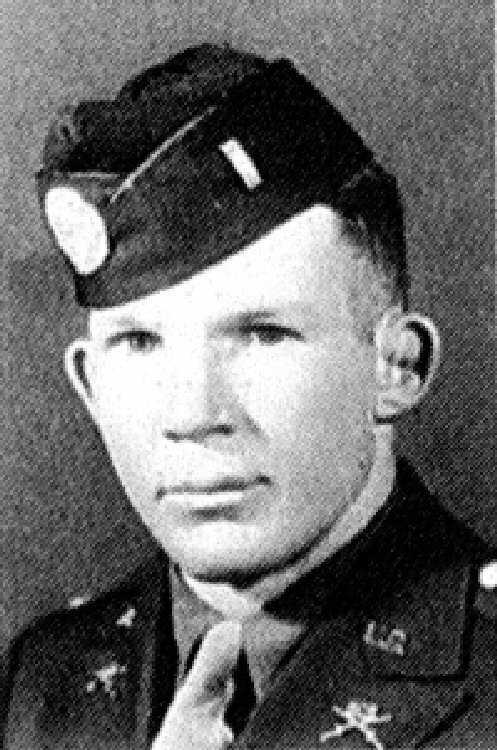 Another way to think of him, is to imagine that the most competent soldier from Band of Brothers, another Ambrose book, Richard Winters, had been killed on D-Day. The 25-year-old paratrooper was a devout Catholic from an Irish family, an amateur welterweight boxing champion in his youth, and would later be documented as the first American officer killed on D-Day. 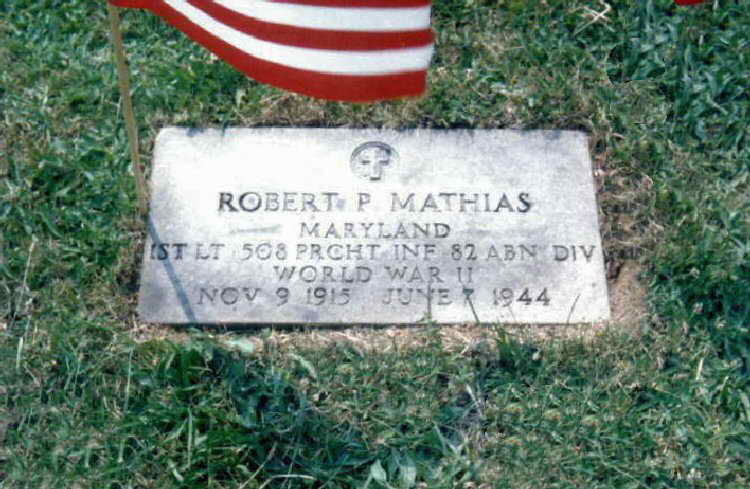 At 2am, on June 6, 1944, 1st Lt. Robert Mathias and 16 men in his command were riding in the darkness of a C-47. Lt. Mathias was the leader of the Second Platoon, E Company, 508th Parachute Infantry Regiment. Mathias saw the red light go on. “Stand up and hook up!”, Mathias called out. With machine gun bullets tearing through the aircraft as it lurched about attempting to evade flak, the men behind Mathias kept calling out, “Let’s go, damn it, jump!” But it was Mathias’ duty to wait, to keep his hands on the outside of the doorway, ready to propel himself into the night the instant the green light went on. Then suddenly, a shell went off beside him. Red-hot flack ripped into his reserve chute and into his chest. It knocked him off his feet. With all his strength, he began to pull himself back up. Then the green light went on. With blood streaming from his body, Mathias raised his right arm and called out, “Follow me!” and leaped into the night. The lesson I took from Ambrose highlighting a soldier like Lt. Mathias was to appreciate that part of the cost of war cannot be quantified. Imagining what the lives lost could have been. When WWII veterans speak of the likes of Lt. Mathias with awe, mere gratitude from those of us who subsequently benefited seems insufficient. 1946 – Joseph Mathias — one of Robert’s 5 siblings — writes some of his brother’s fellow paratroopers asking for information about Robert. 1949 – Harold Cavanaugh, a paraplegic for most of his life because of wartime injuries — wounded 4 times in France, the last to his spinal column — types out 3 single-spaced typewritten pages of reflection on his commanding officer, Lt. Mathias. 1949 – Harold marries Florence, whom he had met at a Veterans Hospital, and they eventually adopt 2 children and were married until his death. They lived in New Jersey. 1949 – Mr. Cavanaugh had considered writing a history of the 508th Parachute Infantry, but was torn about not wanting to dwell on that part of his life. It is assumed that this is the reason Mr. Cavanaugh never responded to Joseph Mathias. 1967 – Harold Cavanaugh dies. 1968 – Florence Cavanaugh, in sorting through her husband’s personal items finds Joseph’s initial request and her husband’s response. She then sets out to locate Joseph Mathias, who turns out to be an associate judge with Maryland’s 6th Circuit Court. Cavanuagh’s letter would eventually become the main source for Ambrose’s information about Lt. Mathias. I am enclosing a xerox copy of a most extraordinary tribute to your son, Bob, by a paratrooper who trained under him and who made the Normandy invasion with him. I am sending copies to Justin, Marjorie, Mary Lou and Edwina so that their children will realize what a man of courage and principle Bob was and try to follow his example. Now I’m left to wonder about the stories which lie dormant with our older loved ones. This entry was posted in Books & Reading, Catholic Faith & Inspiration and tagged 1944, Band of Brothers, D-Day, June 6, Lt. Robert Patrick Mathias, Richard Winters, Stephen E. Ambrose. Bookmark the permalink.